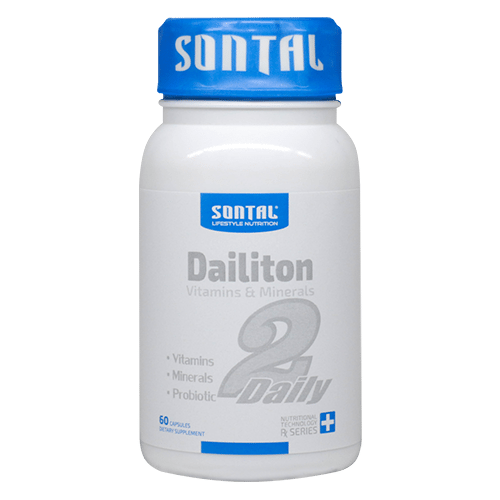 SONTAL Dailiton Booster – Vitamin and Mineral Tonic is a well formulated vitamin and mineral complex, consisting of key nutritional ingredients necessary for a healthy immune system. Illnesses overcome you regularly of and you never feel truly healthy. Don’t be a slave to sickness. Boost your immune system with SONTAL Dailiton. You can have resilience against illness and protection against diseases. Supplies important nutrients for a healthy body. Improves absorption of nutrients through a probiotic complex. Increases your immunity against illnesses. Directions for use: As a dietary supplement take 1 (one) capsule daily with breakfast.